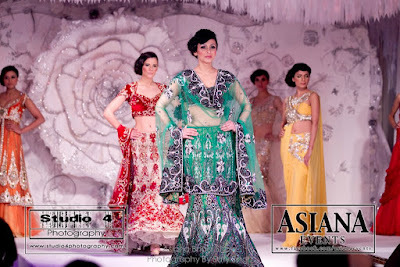 Frontier Raas were up next on the catwalk at the 2012 Asiana Bridal Show in London. Frontier Raas are based in India, and I'm not sure they have a UK stockist, but you can find out more information on how to contact them here. I love Frontier. 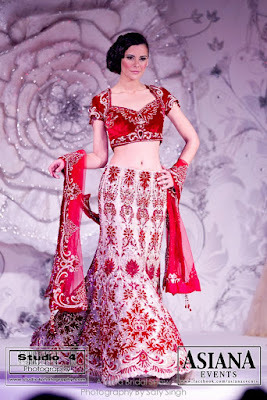 I first went to their location last year and purchased a suit that is a classic staple brocade churidar. It screamed 1960s Bollywood to me. It's one of those pieces that are eternal and always be beautiful. It's a place I recommend to all my friends who are shopping in Delhi. Do they have a website? How can we contact them?